Would this not be the piece de -- there wasn't any Russian collusion with Trump. 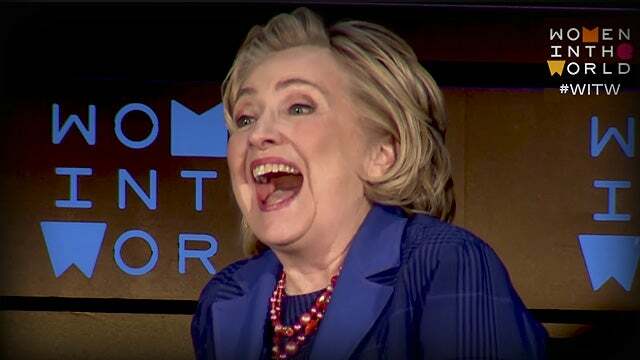 What if there actually was Ukrainian collusion with Hillary? And it makes sense because the Ukrainians hate Putin! The Ukrainians despise Putin, and they don't have a whole lot of love for Putin's Russia. 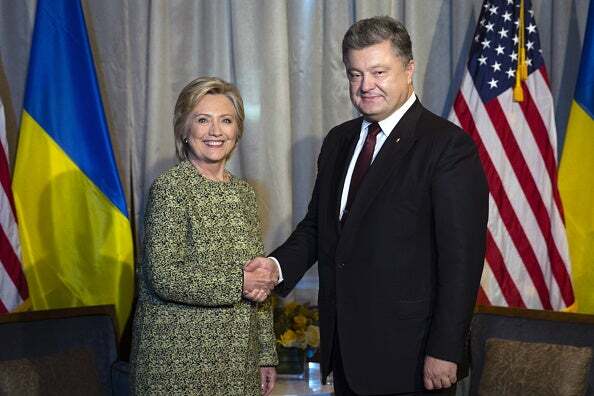 And so the Ukrainians colluding with Hillary, they would do this because the assumption they would make is that Putin wants no part of Hillary. I don't know about any of that. Paul Manafort's financial records in order to help Hillary win in 2016. That, by the way, is the dirt that led to Manafort leaving the Trump campaign. Let me go over this again. We're kind of in a lighthearted, jocular mood here today in spurts, but this deserves some serious explanation. And by the, the headline that's attached here to John Solomon's story: “As Russia Collusion Fades, Ukrainian Plot to Help Clinton Emerges.” So we're back to is Russian collusion really fading? There wasn't -- don't misunderstand. There wasn't any. But is that really what the Mueller report is gonna say? So many leaks, so much lowering of expectations about this. And I just know how much people try to manipulate us on the left, the Democrat Party. But then again we got Trump out there suggesting that he thinks this report ought to be made public, which would tend to indicate that he's not worried about it, and so he maybe not be worried about it because he's been given a heads-up. He says he doesn't know what's in it. But, anyway, let's look at this. “Ukraine’s top prosecutor divulged in an interview aired Wednesday on Hill.TV that he has opened an investigation into whether his country’s law enforcement apparatus intentionally leaked financial records during the 2016 U.S. presidential campaign about then-Trump campaign chairman Paul Manafort in an effort to sway the election in favor of Hillary Clinton. This dirt is what did in fact lead to Manafort leaving the Trump campaign. And it's what led to Manafort being investigated by Mueller. By the way, not a single lawmaker was contacted by the FBI or the CIA about the Ukraine government being involved in our election this way. It really isn't anything new, it's just being reported here for the first time. Solomon got his mitts on it. But the FBI, CIA, nobody there was contacted about the possible Ukrainian collusion with the Clinton campaign. And that's an amazing contrast, is it not, compared to how the FBI and CIA warned a number of lawmakers about Trump's possible collusion with Russia, which never happened? But they weren't out there warning politicians, hey, be very wary the Ukrainians are trying to interfere in the election. Nobody was warned of that when was it happening! You know, we actually first heard about what Ukraine did to help Hillary back in January 2017. We pointed out then that there was a huge article, it was a hundred paragraphs that carefully detailed the work done by the Ukrainian operatives to undermine Trump in order to help Hillary, including giving the Democrat National Committee dirt on Manafort. Nobody has even denied that all of this happened, yet there's been no outrage at a foreign government interfering in our election. There wasn't even any Drive-By Media coverage of this story. Here it is. January 11, 2017, archives of The Politico. “Ukrainian Efforts to Sabotage Trump Backfire.” I don't expect you remember us talking about this, but I remember the story because it was the exact antithesis of what the American people have been told for two years. But the story ran in The Politico and nowhere else. January 2017. This is about 10 days before Trump is inaugurated and this story surfaces. And that's the story that Solomon and Sara Carter are zeroing back to today. And we'll see where this goes.